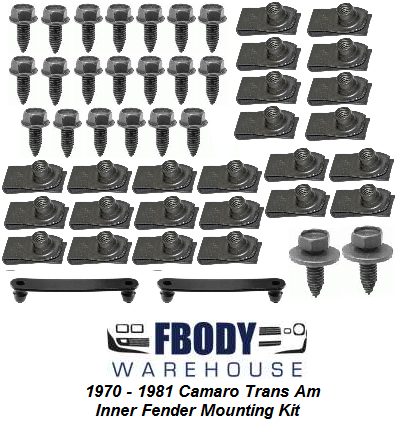 This is a 52 piece inner fender bolt kit for 70-81 Camaro and Trans Am. 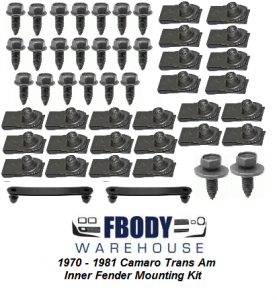 Kit includes all needed bolts and nuts to mount the inner fenders to the fenders. Why after fresh paint would you install your inner fenders using rusted bolts!?!? 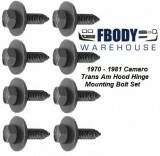 Install fresh new hardware and finish your restoration properly! Camaro Firebird Trans Am models.